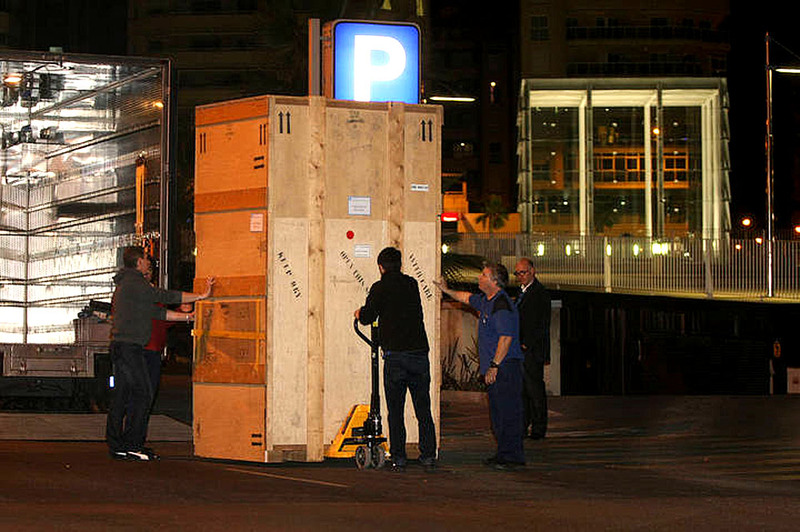 Last night between 8 and 10 PM the Paseo de Cures was closed for unloading the French trucks with the first series of art works from the depots of the Centre Pompidou in Paris. Because of strict deadlines regarding the opening on March 27th work will continue around the clock to assemble the works in time. More transports a scheduled for the coming nights so everybody needs to take out their top rated high-fidelity ear plugs to be alert all night.